On Sunday, we all went to the movie theater to see Wreck-It Ralph. We’ve been anticipating this game for quite some time. Going in, I was expecting a funny story and lots of references to old video games. We got all of that, but what we didn’t expect was a valuable life lesson. 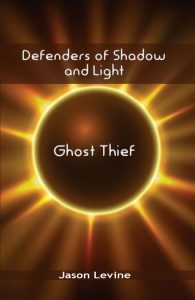 Note: While I’ll try to keep the following as spoiler-free as possible, I might slip and reveal a little too much here and there. So, if you haven’t seen the movie yet, proceed with caution. 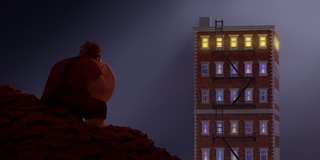 In Wreck-It Ralph, the title character is the bad guy in a video game called Fix It Felix, Jr. Ralph destroys the building in Niceland. Felix (controlled by the player) fixes it up with his golden hammer. When the player fixes the whole building, Ralph is tossed off the top of the building by the citizens of Niceland and lands in the mud below. When the game shuts down for the night, the Niceland citizens party with Felix. Ralph, meanwhile, is regulated to spending his time alone in the dump, lying atop a pile of bricks. Sick of being the bad guy stuck on the sidelines, Ralph attempts to join a party celebrating his game’s 30th anniversary. Unfortunately, things don’t go according to plan and the citizens of Niceland tell him, in no uncertain terms, that his place is in the dump and not with them. Meanwhile, in another game, Venellope Von Schweetz is a glitch of a character. The other racers pick on her, shun her, and actively try to keep her from racing. They want nothing to do with her and would love if she would just disappear from the game entirely. Both of these characters could listen to the crowds. They could listen to the people who tell them that they are worthless and won’t ever do anything good or important in their lives. Thankfully, they don’t. (Or it would be a very short movie.) They do their best to prove the crowds wrong. And, in the end, they must show how the very things that people decried as horrible about them are actually useful strengths. Wreck-It Ralph is a great movie to watch for pure entertainment. However, it also has a very powerful message, especially to those of us who have dealt with bullies in the past. Let’s take a lesson from Ralph and Venellope and show those who oppose us just how being ourselves makes us stronger and not freaks or "glitches."